TOWCESTER TAXI AIRPORT TRANSFERS 01908 263263 RELIABLE ROAD TAXI TRANSPORT: Exclusive : Colts Taxis Getts Rid, In Favour Of A Non-Profit TaxiApp Provided By Licensed Taxi Drivers...by Sean Paul Day. 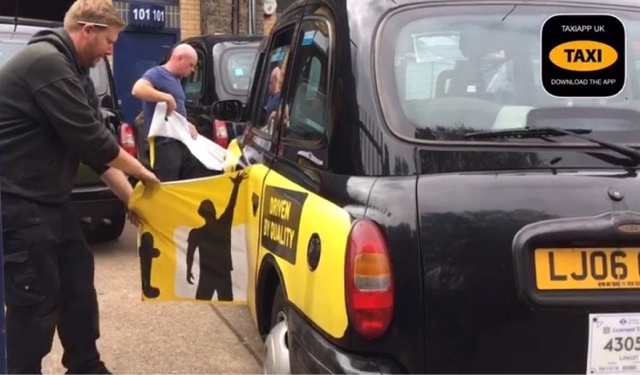 Exclusive : Colts Taxis Getts Rid, In Favour Of A Non-Profit TaxiApp Provided By Licensed Taxi Drivers...by Sean Paul Day. It’s easy to be critical, in fact, it’s it’s easy to find fault in someone or something or even something some one is doing. Add to that a clash in personality and it’a wonder we manage to get any work done with the amount of criticism we have to wade through. Now, if you want to take criticism to the next level you need to be someone who earns a living out of the trade. It doesn’t matter who or what you do, or if you are good, bad, or ugly, you are going to get criticised. Enter Michael Glassman from Colts Cabs. Responding to the strong feelings in the trade against ride hailing apps, particularly Gett, he has taken the stance to remove all of their liveries and replace them with TAXIAPP ones completely free of charge. 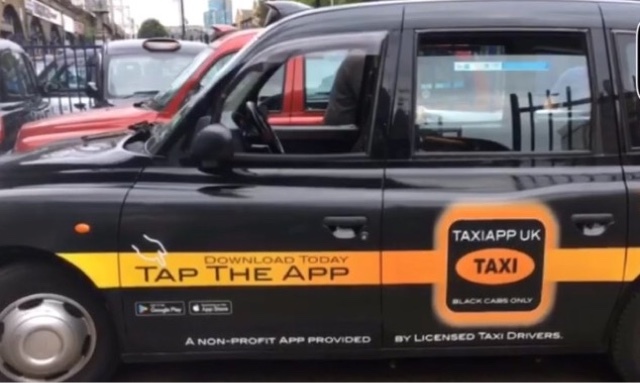 In total Glassman has supplied a fleet of 80 cabs for TAXIAPP to advertise their brand. Of course it’s not entirely without cost as the app had to consider designing and producing the livery itself and of coarse there was the fitting to consider. 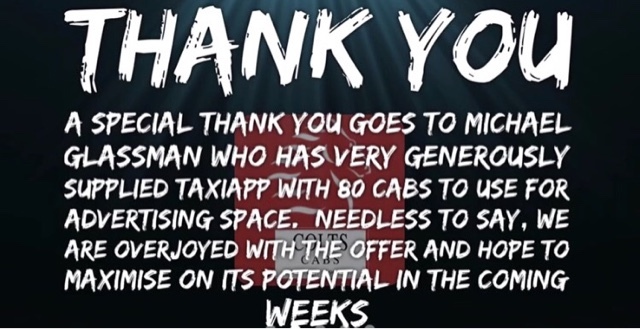 "We did actually get a very good deal from Dvinylwraps," says Scott, who looks after the app’s finances "To do all 80 cabs in one go simply wasn’t feasible, but we had to find a way as it was far too good an offer to let go by the wayside"
What you’ll see is a dozen cabs (possibly more ) each month being filtered out on to the streets of the Capital emblazoned with the TAXIAPP logo. As far as criticism goes? Well, very few people in this world do anything for zero pay off, but as far as this act of good will is concerned, Glassman didn’t have to do it, but he chose to, and should be commended for it. That’s criticism, partnerships and helping each other all in one. 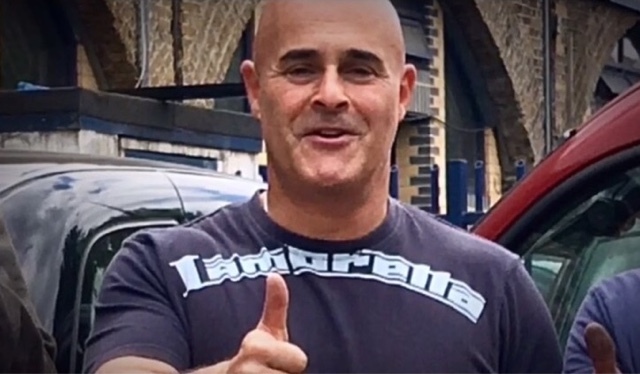 As the mantra goes, support those that support the trade.